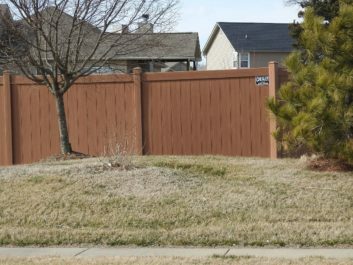 Searching for fencing contractors to install a new fence in your O’Fallon, Illinois yard can be a chore. With so many fencing companies to choose from, it can be difficult to know if you are making the right choice. And, if you choose wrong, you could be stuck with a poorly constructed and installed fence. We are one of the most seasoned companies in the region with decades of experience and have even installed more fencing than any other company in our territory. Our team of highly trained in-house installers, never subcontractors, can install your fencing in any configuration you desire. We maintain an A+ rating with the Better Business Bureau, which we earned by going above and beyond for all our customers and adhering to honest business practices. Additionally, as premier fencing contractors, we offer our customers three different fencing styles to choose from, including attractive Western Red Cedar fencing, flake resistant aluminum fencing, and durable, low maintenance vinyl fencing. With all our different fencing options, you are sure to find the style that best suits your needs and budget requirements. 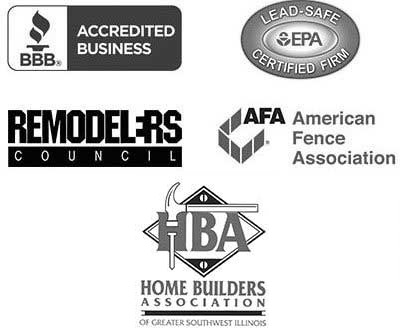 To learn more about hiring one of the finest fencing contractors in the O’Fallon, IL area, Chesley Fence & Deck, contact us today.